will you be getting any new stuff in your movie swords? i am looking for a good deal on the sword from clash of the titans. i love that movie! Thanks for commenting Jim. 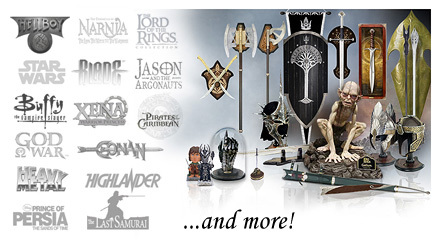 We may add some Clash of the Titans products in the future. Stay tuned to the news section for a possible release.